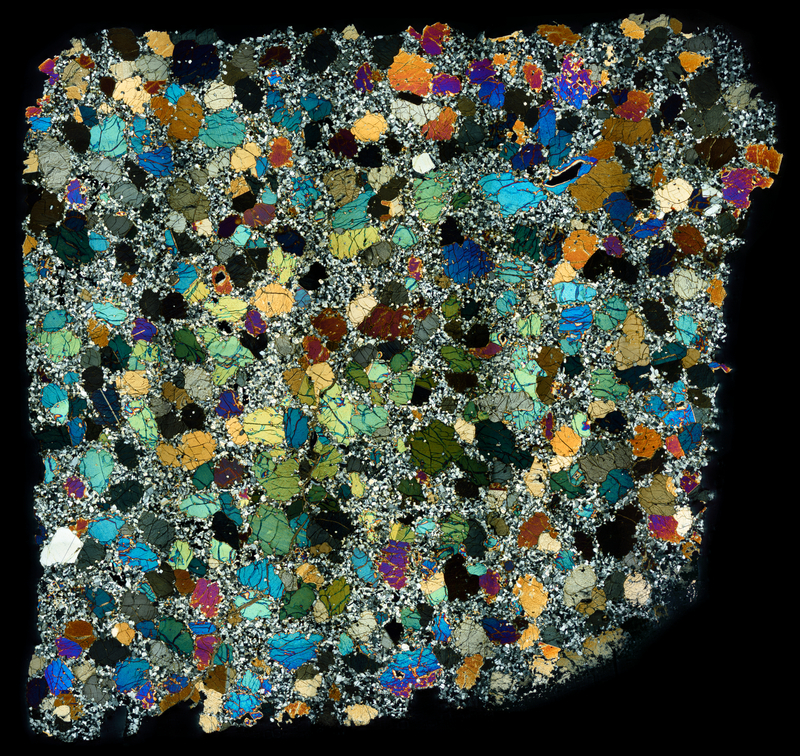 The NWA 4587 meteorite makes a colorful polarized thin section. The unique intergranular recrystallized plagioclase texture gives it a spectacular appearance. This is the second example of this meteorite — see here for the first.